For proper development and maintenance of health, our body needs vitamins and minerals. Most people replenish them with a balanced diet. However, health problems can still arise. A lot of factors influence our health: diet, lifestyle, bad habits, the environment. Our body has various signals to inform us about certain problems with the health and the lack of nutrients. So what does it try to warn us about? If your vision in the dark became worse, if you have dry, constantly cracking lips, lachrymation of the eyes or dry eye syndrome – all these factors are the first signs of a lack of vitamin A.
Vitamin A (or retinol) refers to fat-soluble vitamins. It plays an important role in the formation of bones, it is very important for acute vision, healthy hair and skin. In order to replenish its reserves in the body, you should include eggs, milk, liver, spinach, peas in your daily menu. You should also add red, orange and green fruits and vegetables, such as carrots, pumpkins and peppers. The lack of iron in the body can make you eat completely unintended food: clay, chalk, paper. Fatigue and lack of energy, shortness of breath, palpitations and pale skin are also symptoms of iron deficiency. 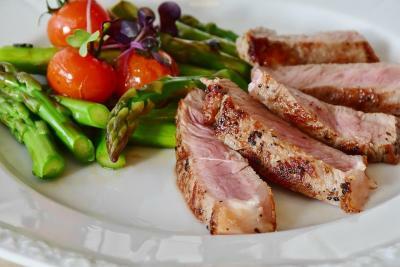 To make up for the shortage of this substance, it is necessary to include red meat (beef, lamb, pork), various legumes, tofu, nuts and seeds in your diet. Apathy, bleeding gums, hypotension, muscle pain, tooth loss, irritability are symptoms of vitamin C deficiency. Usually a deficiency of this vitamin occurs in autumn and winter, but it is very easy to replenish it. It is necessary to include more berries, spinach, citrus fruits in the diet. If you have mood decay, if you are waiting for warm days to warm your bones in the sun, if you feel pain in the knees and back, you may not have enough vitamin D. We experience its lack in the autumn-winter period, when the sunny days become rare and the light day is greatly reduced. You can replenish the lack of a sunny vitamin with the help of pharmaceuticals. Your doctor will tell you what kind of medicine to use. You can also include beef liver, milk products and eggs in your diet. As for the lack of calcium you may not notice it until it's too late, because when there is not enough calcium in your body, it will pull this mineral out of the bones. It is important for the formation of teeth, bones and muscles, including the heart. In case of critical deficiency, muscle spasms or cramps, a burning sensation around the mouth, tingling in the fingers and spasms of the facial muscles may occur. A critical deficiency should be treated with special pharmaceuticals. But you can supplement it with milk products, cheese, green leafy vegetables: nettle, spinach, basil, parsley, sesame and poppy seeds, beans. Potassium deficiency can lead to constipation and bloating. The function of potassium is to monitor the balance of fluid in the body. It guarantees the movement of nutrients to the cells, displacing "waste" from them. It is very important for the work of the heart muscle. When there is lack of potassium in the body, you will feel a violation of the heart rhythm, shortness of breath, weakness in the muscles, drowsiness. To make up for its deficiency, include brown rice, oats, fish, beef, bananas, dried apricots and vegetables in the menu. Listen to your body, respond to symptoms in time, eat more fresh vegetables and fruits, move, spend time in the sun and be healthy!